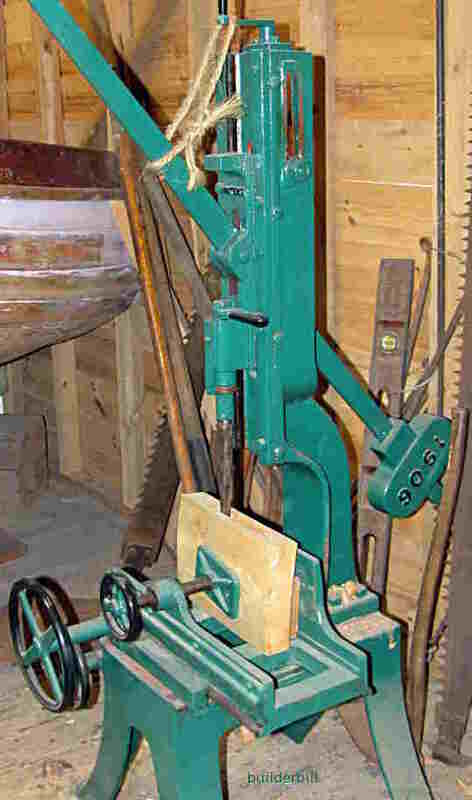 In woodworking: A machine that speeds up the task of making mortises but is powered by hand. 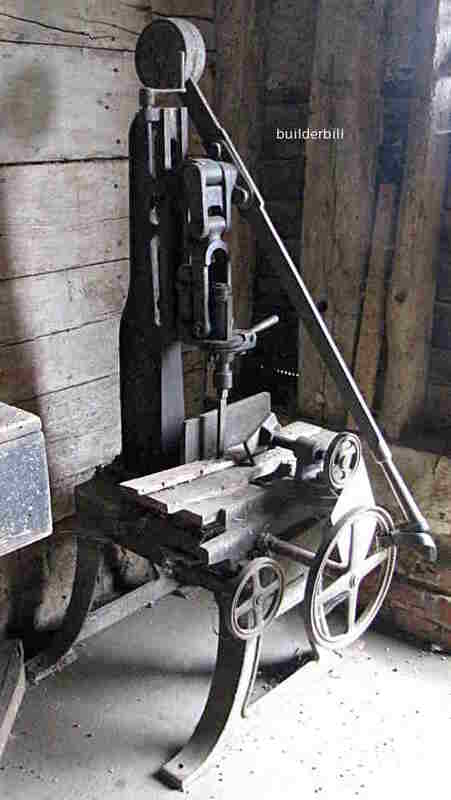 The complexity and effort that went into making hand machines like the ones here shows how important the mortise and tenon joint has been in woodworking. It reminds us that even when sophisticated manufacture was possible, a lot of locations did not have a convenient source of power. It is only in the last 40 or 50 years that alternative methods and materials have lessened the need for mortising machines. 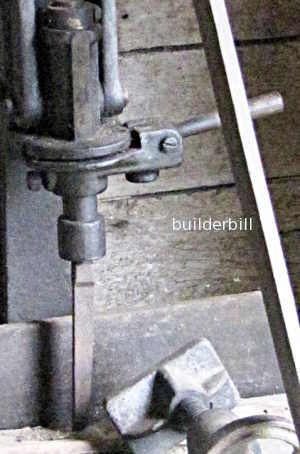 The chisel is almost a standard hand mortise chisel. The tool is just thumped up and down with the right hand while moving the bed of the machine holding the work along with the left hand. Note that the chisel can be easily flipped to get a sharp vertical edge at each end of the mortise slot.